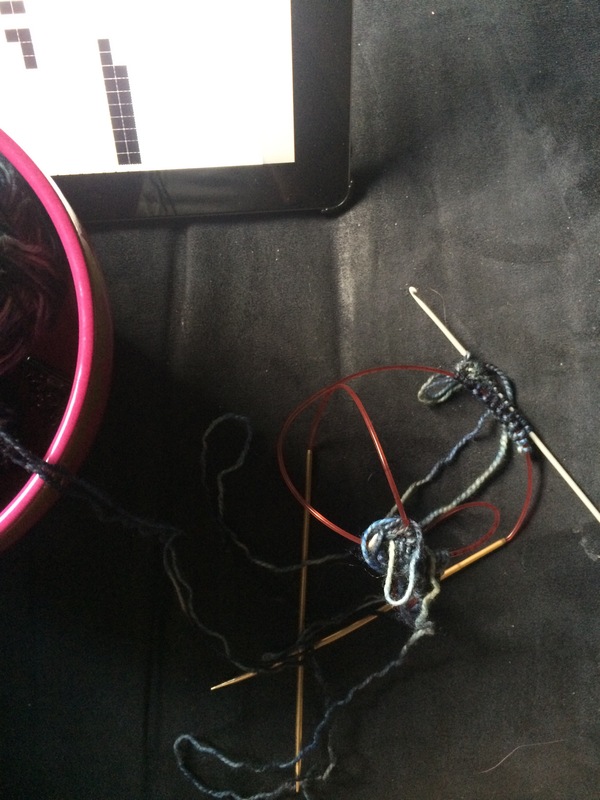 I will knit whilst on a plane. with cats at my feet about to pounce. If I was in school I’d knit in class. 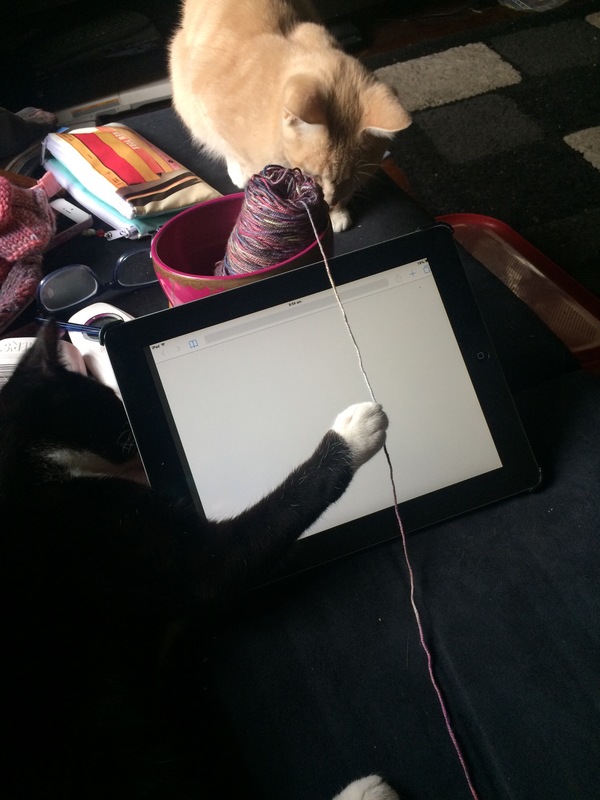 I will knit when on the phone. 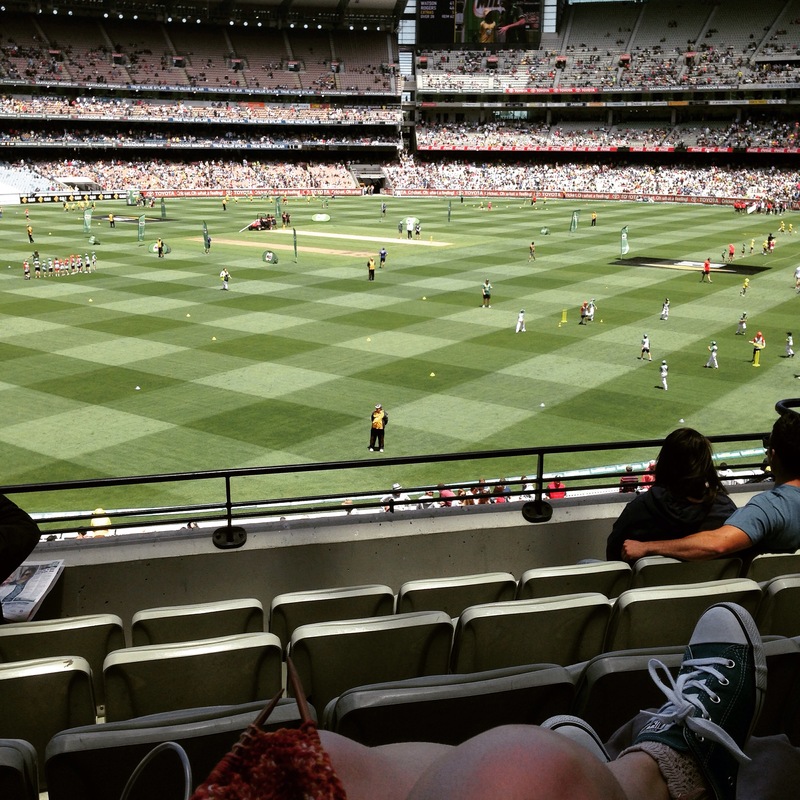 Especially this year watching Port! 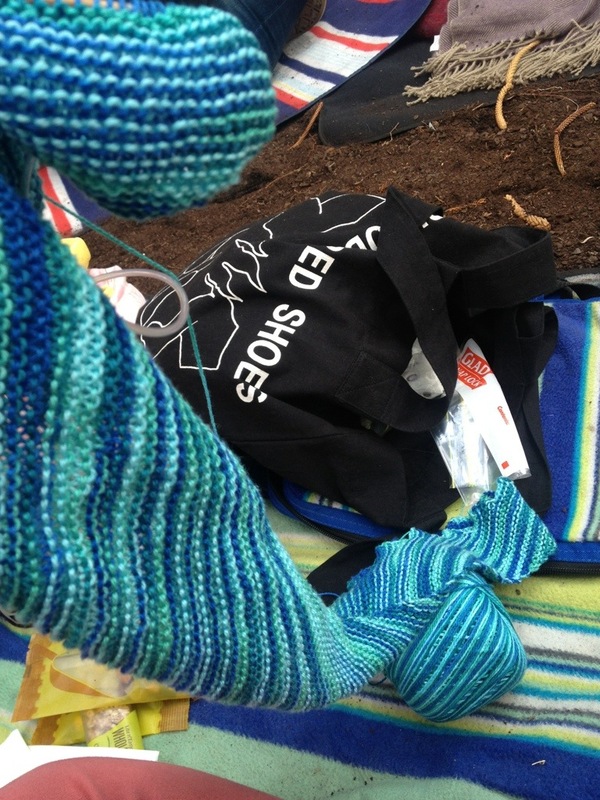 You’ll see me knitting everywhere. For a minute I thought you were going to say “I’m not afraid to hook in public”. Great photos. 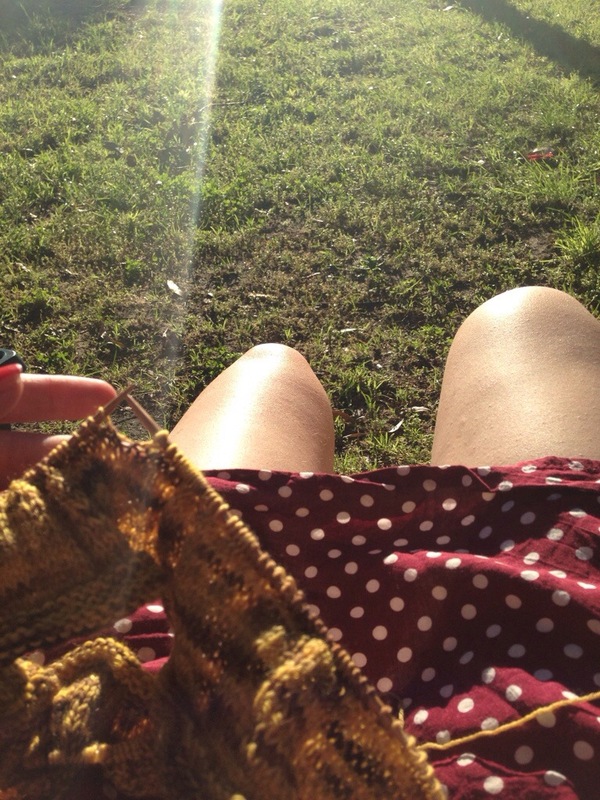 I love that you will knit anywhere. 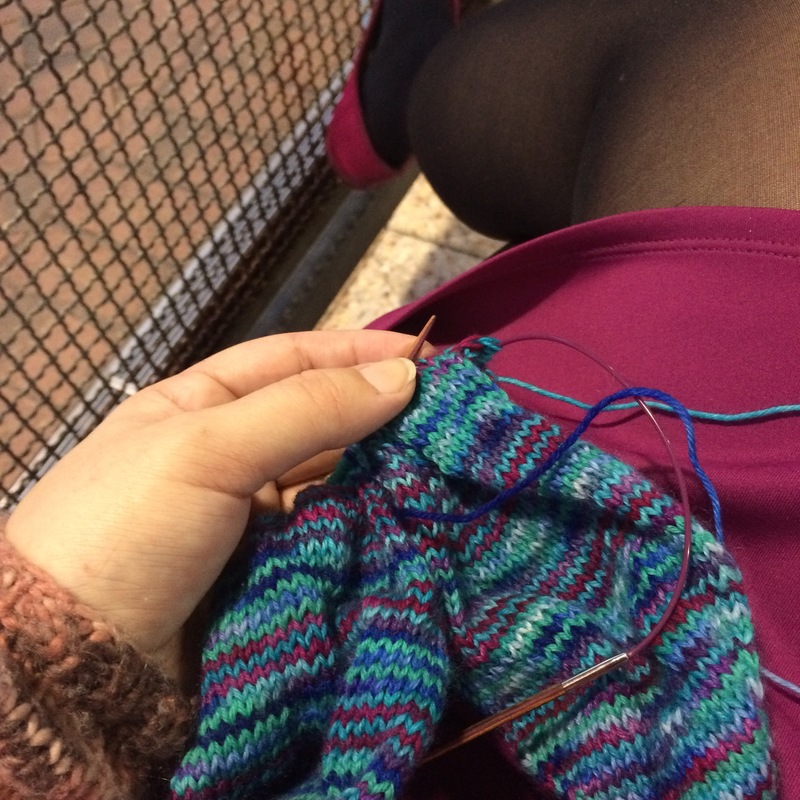 I am never ashamed to knit anywhere although the weather does sometimes get in the way here. 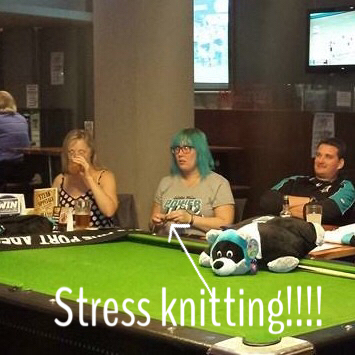 What on earth is going on in the stress-knitting photo? You do look quite distraught! I am watching football. My team hasn’t done as well as expected this year. Your team however is doing quite well!